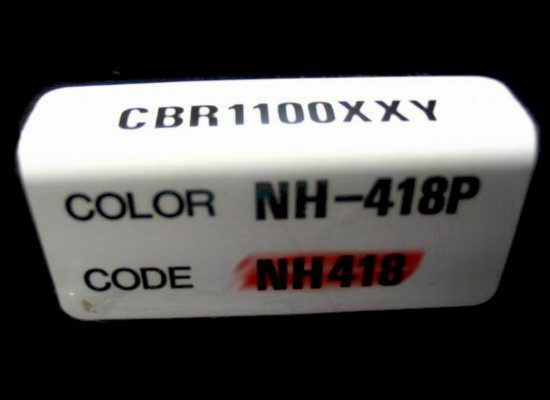 To avoid ordering an incorrect part, it is necessary to input your VIN. 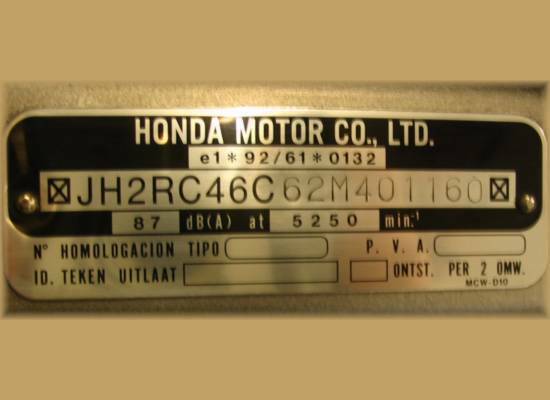 Your Vehicle Identification Number (VIN) is an 11 or 17-character code consisting of letters and numbers and is unique to your motorcycle or scooter. 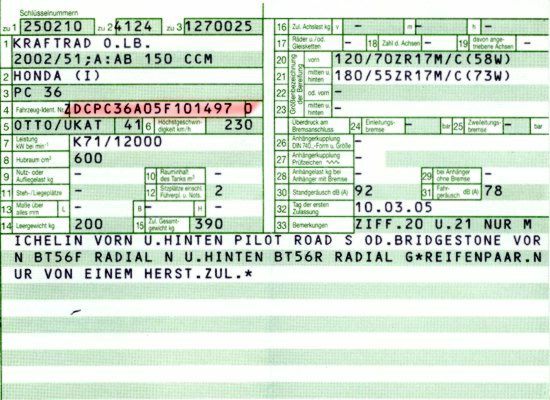 Please note that when entering your VIN, do not include any hyphens (-) or asterisk (*) or any other symbols. 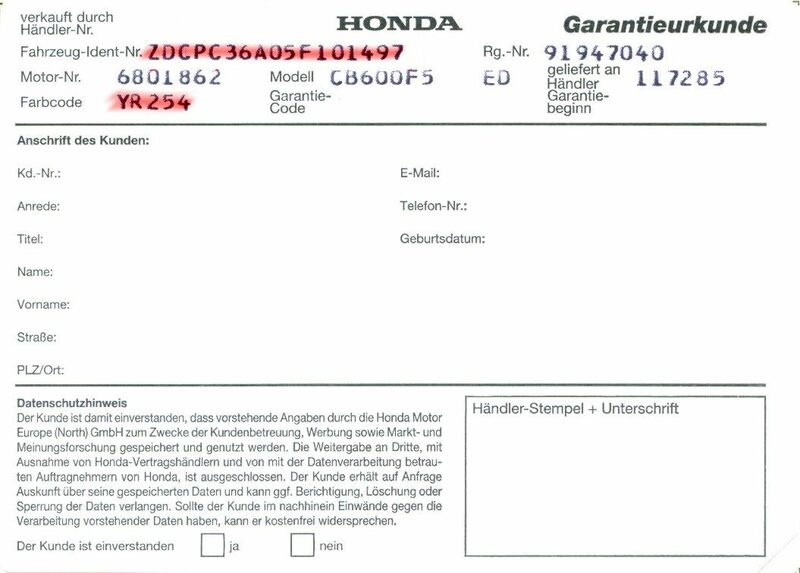 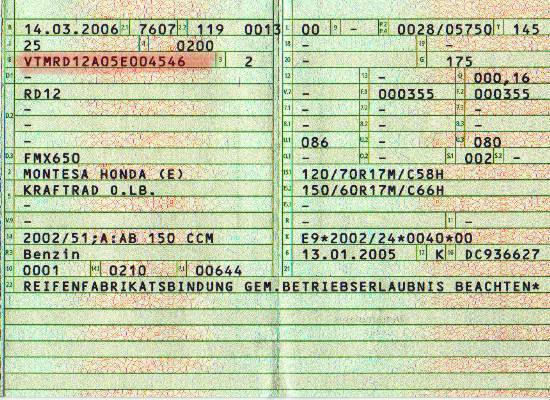 You can find the VIN in your Vehicle Registration Certificate (sometimes called Log Book) and is always stamped on the frame of your motorbike. 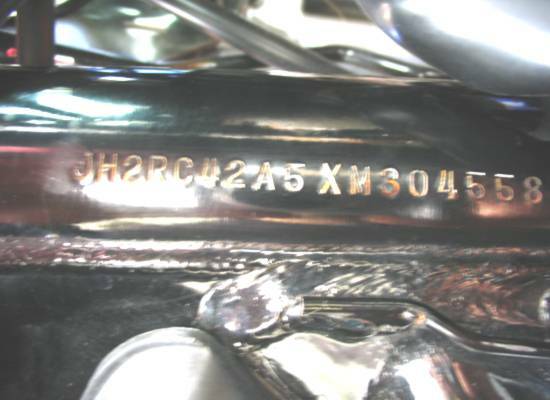 Here are some pictures to help you locate and read your VIN - just click to enlarge.